Saturday was a busy day. I started with a match at 0900, then the General assembly of the EPBF, match at 1500 and then a meeting again. Eventfull and successful day as I won both my matches (7-4 against Mayte Ropero and 7-3 against Sara Rocha) and got elected as new treasurer in the EPBF. Yesterday I had one match to qualify for the last 16 and won 7-3, playing Marta Tavares. 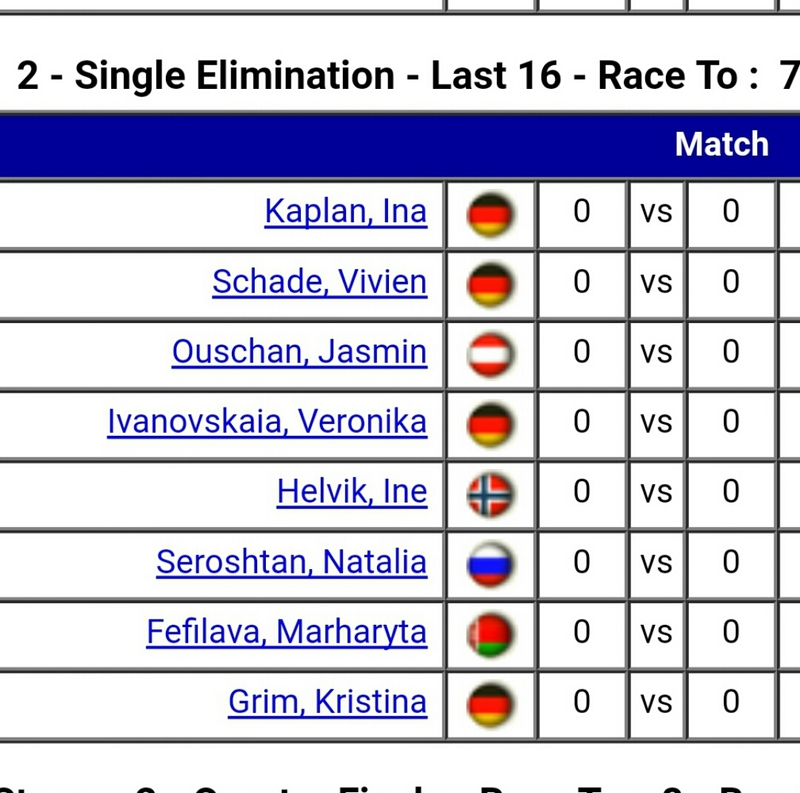 I have the day of today, my next match is tomorrow at 1200. Thanks for reading and follow the action on europeanpoolchampionships.eu and kozoom.com!